We try to have every appliance on the boat possible operate directly on 12 volts DC. We’ve converted a Sharp Aquos TV, PC flat panel monitor, our WiFi system to include Radio and Router, and our navigation computer is a 12volt DC device. 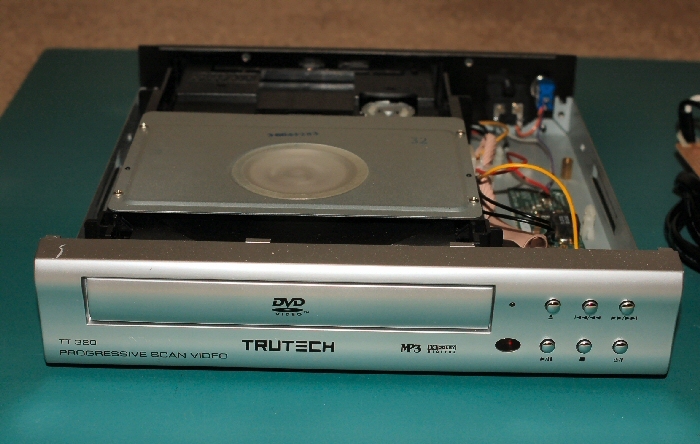 This page shows how I converted a small home DVD player to operate directly from 12 Volts. The DVD player was an inexpensive unit that we originally bought from Target several years ago. The unit performed well so we have two of the units at home and one on the boat. The original power supply in the player converted 110 – 230vac to 12v and 5v dc. I removed the AC supply and installed a small National Semiconductor) 5vdc switching power supply, evaluation kit from Digikey. I chose this power supply as it is very efficient, i.e., it does not waste any current in the conversion process. The new DC power supply fit into the DVD chassis very nicely using two sided tape to mount. The purple wire provides +12v to the power supply, the red wire provides this same +12v to the DVD circuitry and the yellow wire provides +5v to the unit. 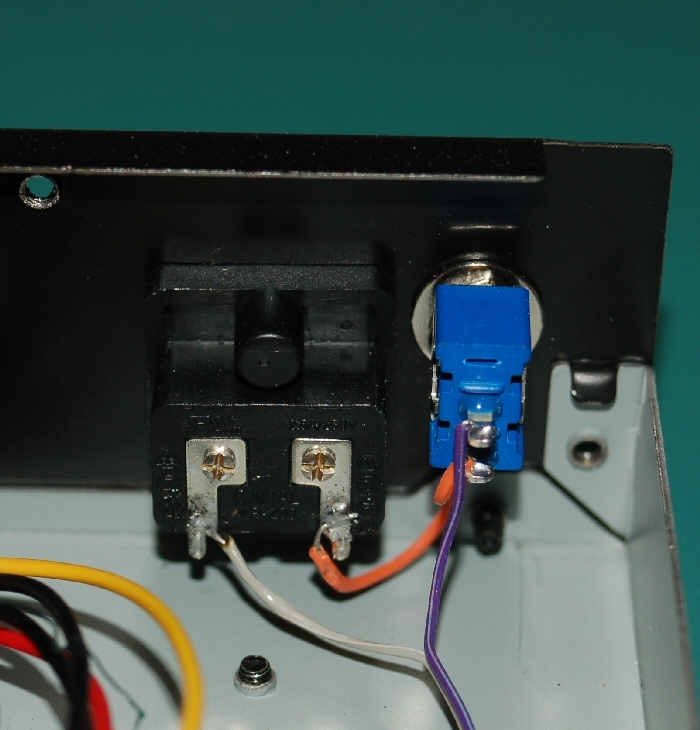 I used the existing power plug and added a small toggle switch to the 12v dc supply. Like many consumer devices even when off they continue to draw some current, which is not good on a sailboat. The cost of the conversion was about $12.00 and it only took about 1 hour, including the time necessary to solder components to the surface mounted circuit board.